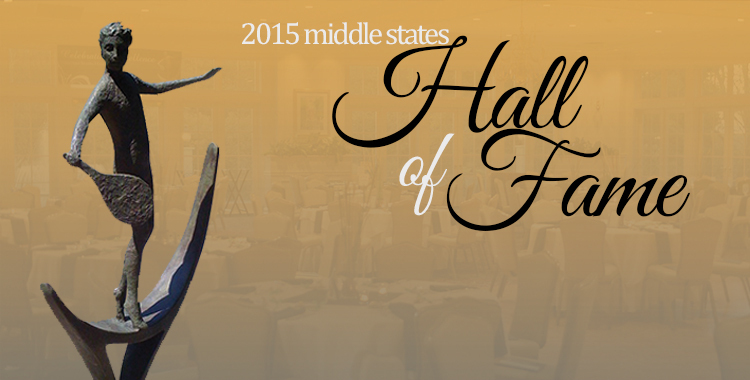 Since its inception in 1994, 99 of tennis’ most influential players, coaches and volunteers have been inducted into the Middle States Hall of Fame, and USTA Middle States is currently accepting nominations for the 2015 class. Nominations for the 2015 event, which will take place at Pittsburgh’s Longue Vue Club on Oct. 30, can be submitted on the Middle States website. The nomination period is open until Friday, Feb. 27. Former inductees into the Middle States Hall of Fame include tennis legend and women’s rights pioneer Billie Jean King, and former USTA Presidents Jane Brown Grimes, Merv Heller, Judy Levering and Martin Tressel. The event provides an opportunity for all who love the game of tennis to celebrate the past and support the future. Last year, nearly 200 people were on hand as inductees Jay Lapidus, Leslie Pixley, Scott Tharp and Lesley Pixley were inducted. For more information about the Middle States Hall of Fame, visit the website, or contact Marge McGann at mcgann@ms.usta.com.